Question: What do silos and ski lifts have in common? I think the answer is they both are indicators of the progression of successful businesses. As I travel the dairy country of upstate New York, silos are typically skyline markers. 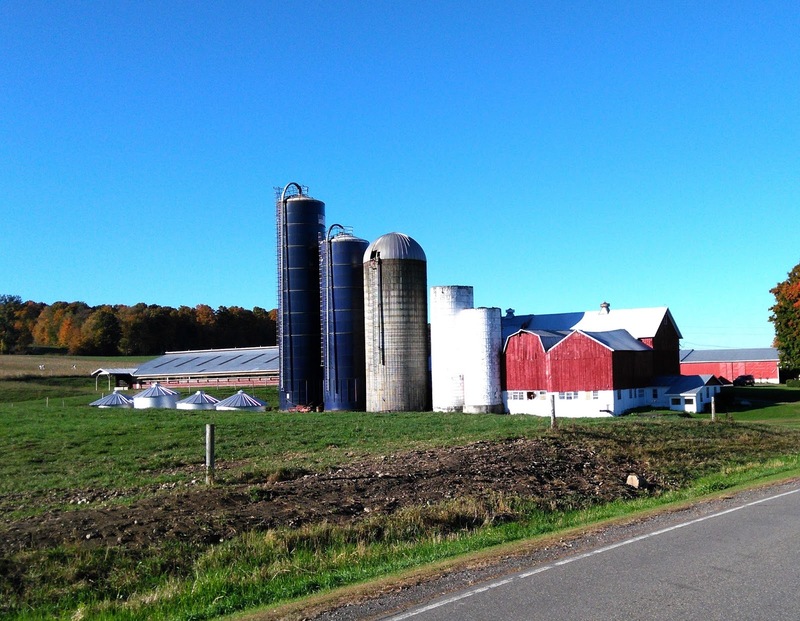 As consolidation of the dairy industry has occurred over many years, abandoned barns and silos are frequent indicators of this trend. However, over the same time, successful dairies sport a progression of larger and larger silos. Also as the dairy has expanded the barns get larger as more cows are added. As I observe the ski industry, a similar trend has occurred. Some ski areas have been abandoned or in some cases they have been absorbed into larger more successful operations. For the successful ski areas, a progression of more and better ski lifts occur. Also just as the dairy farmer adds more structures to house the larger herd, the ski area expands the lodges and service facilities. So, I conclude silos and ski lifts have an interesting connection. I think the two photos below confirm my conjecture. Note the dairy with a progression of larger and larger silos from right left in the photo. Also note a larger barn from right to left plus a large free stall structure on the far left. I regret that my ski lift photo does not capture all the possibilities at a ski area. However, I have been at ski areas that show a progression form a rope tow to t-bar, to double chair, to triple chair and even to quad chair. Perhaps all these musings confirm that my interests in engineering, agriculture and skiing do converge. I like making connections between disparate things! New quad chair on the left replaces a double chair.